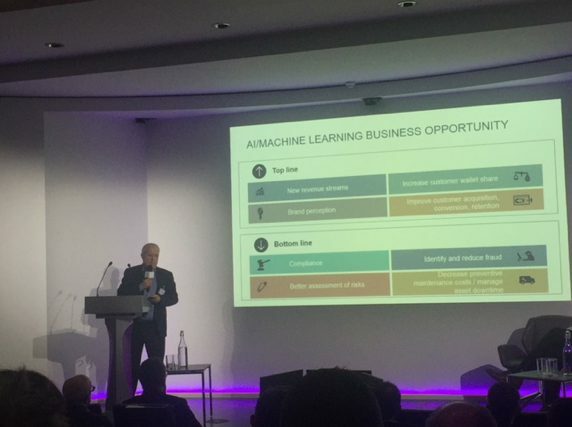 As part of a 5 min ‘Dragon’s Den Style’ pitch Neil Miles, CEO and co-founder took to the stage and explained how Inawisdom helps organisation’s accelerate their AI/ML adoption, as well as enhancing their capabilities and skills. As an expert in the field, we spoke about how we strongly believed in “discover first and invest later” and also how we offer our expertise, tools and methodologies to harness and extract market differentiating insights from organisation’s data. It was great to hear from companies about their challenges and experience with AI. We discussed the phenomenal opportunities for businesses and demonstrated many ‘Real world’ benefits, with examples shown using real-time sentiment, emotion prediction and automatic anomaly detection. Would you like to accelerate your AI journey? If yes, then please get in touch here to speak to one our experts.